Italian restaurants often have names starting with Osteria,Trattoria or Enoteca etc., other than Ristorante, a word we usually know as a restaurant. There are plenty of options when it comes to different types of Italian restaurants to eat in Italy. Each type of Italian restaurant has its own features in terms of what type of food and service to offer. Traditionally a name such as Ristorante, Pesceria or Pasticceria etc. indicates what type of food it offers, what type of service it offers etc. If you know the differences among these types of Italian restaurants, you can find what you want to eat quickly. I think this is helpful for many who like to travel to Italy. Therefore I put them together for your reference. Ristorante is what we usually use the the word for restaurant. It indicates a fine Italian dining establishment and frequently a well-known chef. 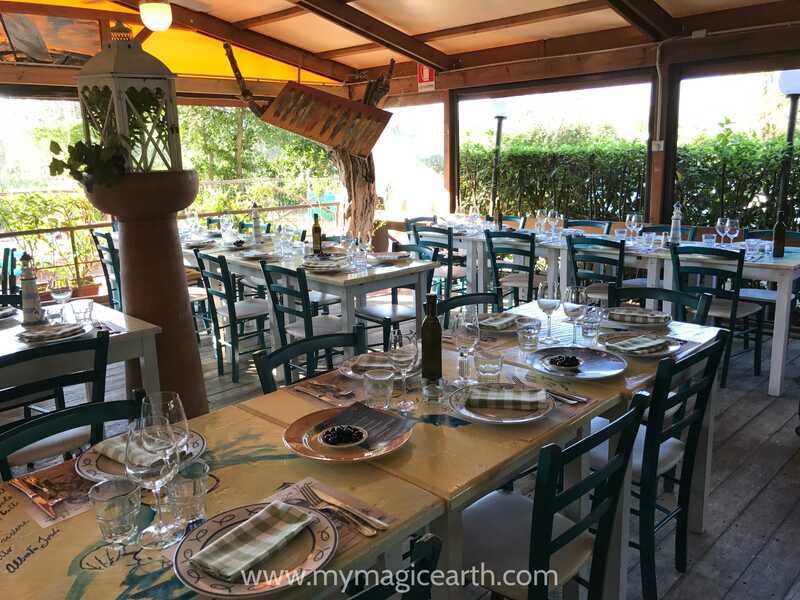 You can expect a complete menu with antipasti, primi, secondi, contorni, and dolci, which hamean a starter, the first course, the second course, side dishes and dessert. Meanwhile you are able to get seafood as well as meat dishes. The price level is quite high compared to other types of Italian restaurants. It offers a relax atmosphere and the whole meal can take hours. So if you are in a hurry don’t look for it. 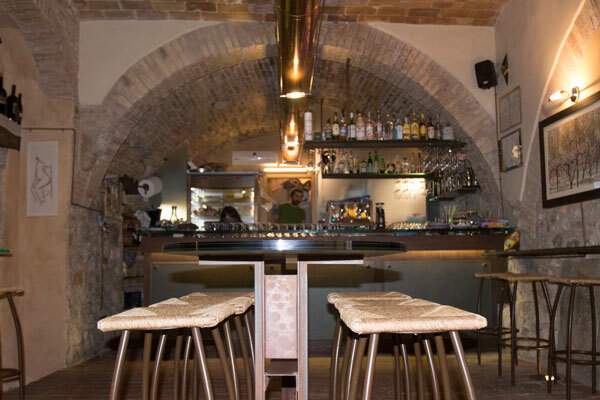 A true traditional osteria is a small, bar-like establishment. An osteria is mostly frequent by locals and is often found in a neighborhood rather than a tourist place. It offers pasta dishes, wine or sandwiches. Locals usually gather there to socialize with each other. It offers a casual and informal atmosphere with a focus on regional specialities. An osteria has elements of a bar, but will have more restaurant-style services than a typical bar. Trattorias are typically family run. They the wonderful casual places to eat traditional and home-made dishes. The differences between a ristorante and a trattoria lies in the form of location. A trattoria is often found on a side street while a ristorante on a main street. Further more, a trattoria is also likely to be a smaller eatery than a ristorante. If you want to eat in the company of interesting and eccentric locals, visit the widely beloved trattoria. One of such places I have tried is Le Tre Terrazze, in a remote hilltop village in northern Tuscany. It is a typical trattoria, though the word “trattoria” is not part of its name. The Italian word “Pesce” means fish in English. A pesceria is an establishment offering fish related dishes. Don’t mix up with pescheria, which means a fish market or shop. As a seafood lover I have paid special attention to the names of those restaurants offering seafood. 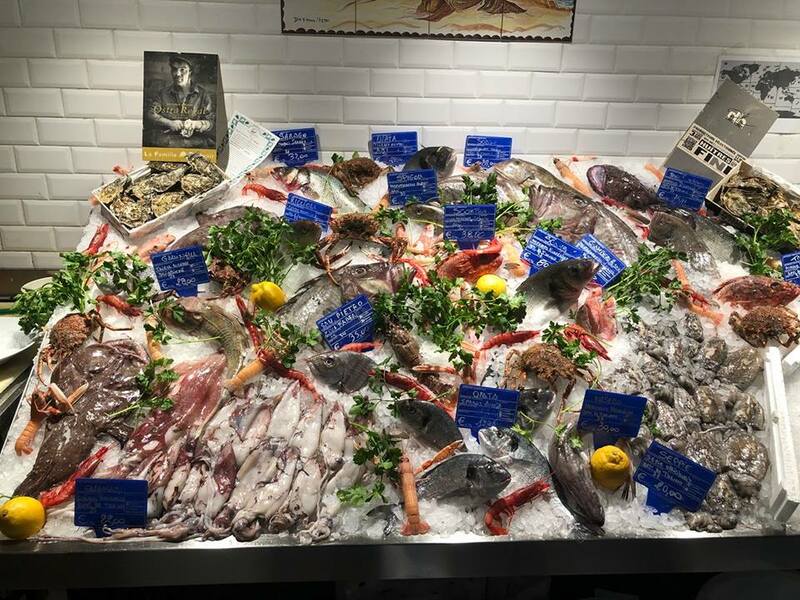 Some restaurants simply use the word “Pesce” to indicate that they specialize in seafood section, for example Pesce Baracca in Pietrasanta. Other restaurants use the word “Del Mare” to indicate that they focus on seafood, for example, Pier Trattoria Del Mare in Portovenere. A tavola calda means “hot table”. This type of Italian restaurants has typically no table service. You choose your food from a cafeteria style of serving area. It has a small selection of ready cooked hot dishes and a bar with a tavola calda which will offer everything a regular Italian bar offers. In English sometimes it is called “fast food” or “snack bar”. A rosticceria usually sells roast chicken or other meat products. It also offers cooked meats ready for you to take home for the family dinner. At lunch time it sells meats or chickens in smaller portions so that you can eat on the premises as a quick lunch. Other than meats it also sells roast vegetable dishes. Recently rosticcerias are becoming less and less common. But if you see a local rosticceria in some remote Italian towns it is worth to have a try. There you will find regional meats that aren’t available anywhere else. In Italy, pizzerias serve mainly pizza with wine, a variety of salads, and a few pasta selections. They are sit-down Italian restaurants. If you want to eat a slice of pizza on the way, you should look for a pizza a taglio. Taglio means “by the slice”. There may be limited seating, but squares of pizza, calzones, and occasionally some desserts are packed up to take away. Traditionally an Italian taverna is like an equivalent of a British pub. 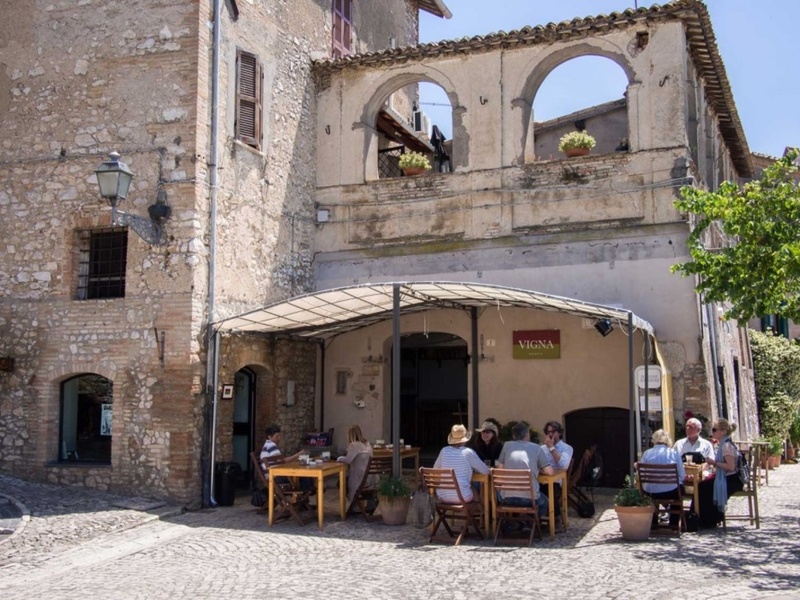 It used to be an establishment found in the mountainous regions of Italy where a traveler could stop for the evening and order a hearty meal, drink wine instead of beer and even stay the night. Nowadays, the the word taverna is outdated, but is still in use. You can see them in some remote villages. In bigger towns however, a taverna is a full service eatery, for example in Taverna del Capitano in Vernazza, Cinque Terre. 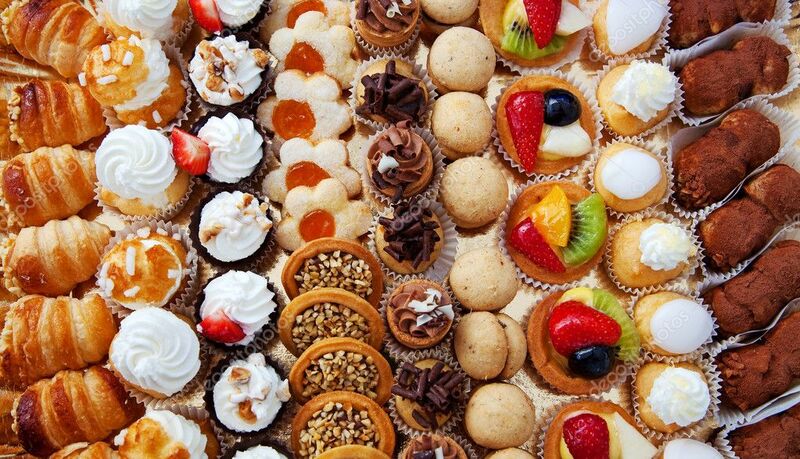 Pasticceria means bakery or pastry shop in English. In fact it is a type of cafe which offers self-made artisanal pastries, brioches, croissants and the like. Depend on the size of the space some pasticcerias will also sell fresh baked bread, meats, cheeses, olives, and wine. You will pay and get the food on the counter. 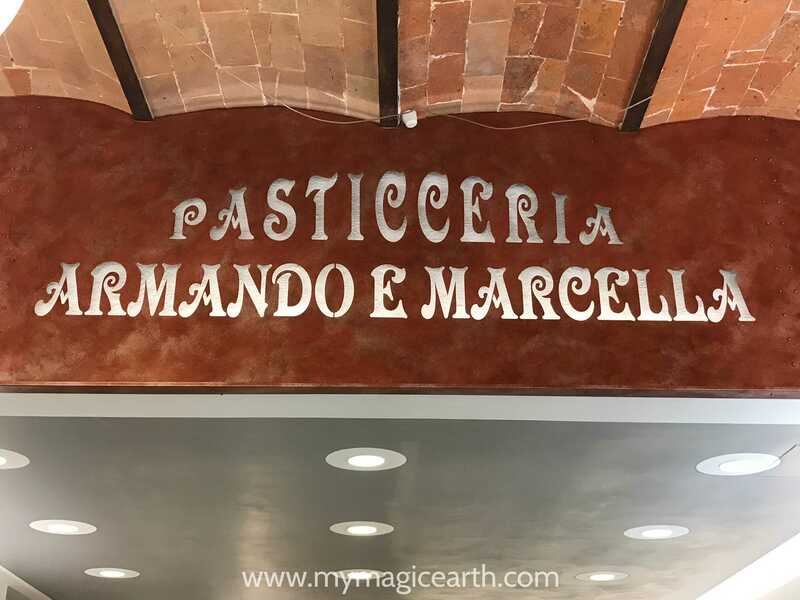 This casual style and fast-moving service at pasticceri make it a great place to stop in for a quick breakfast or to pick up everything on the way. A paninoteca is a sandwich bar. It is a place where you can buy sandwiches like panini and tramezzino, bread, cold cuts and cheese. It has certain similarity to Pasticceria. While Pasticceria offers better quality food, paninoteca offers food at cheaper prices. An enoteca is a wine bar, or a bar where the only alcohol served is wine. Traditionally it is a wine shop for tasting and buying regional wines. In any given enoteca, you will find a wide range of white wines and red wines from the local area. 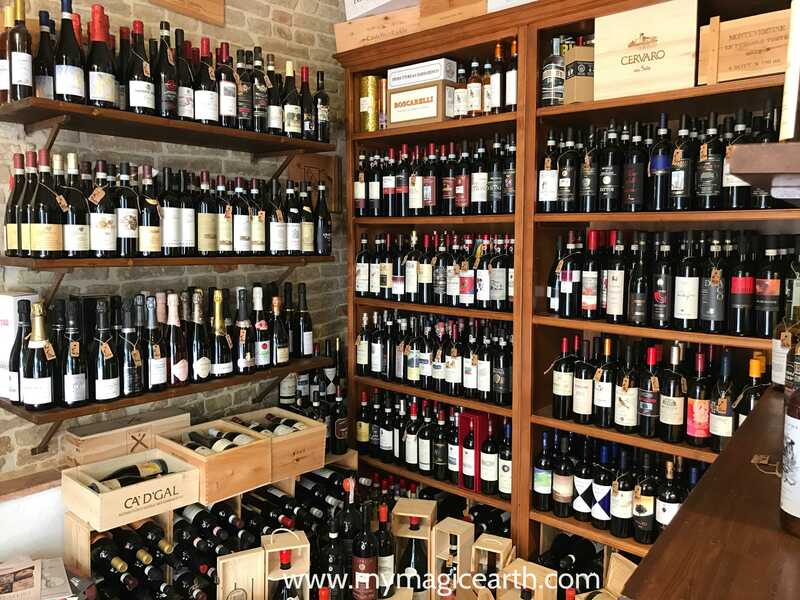 Depending on the size of the bar, they might also stock some imported wines as well as a very small menu of appetizers. An enoteca serves typically a small menu of food, similar to tapas for you to accompany the wine. You can expect to see a selection of cheeses and meats, simple salads, bruschetta and occasionally pasta etc. from the menu. 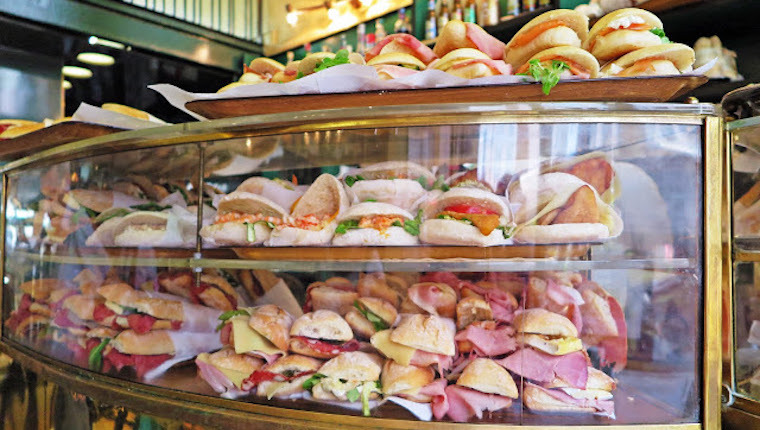 A bar in Italy is a place for refreshments, where one can have a quick breakfast in the morning, some light food such as sandwiches for the lunch and some appetizers before the dinners. A Bar is similar to a Cafe. Throughout the day, the bar usually serves coffees, juices and alcohol as well. It is a social place where locals chat with each other about everything from family affairs to the politics. I believe that these types of Italian restaurants can help you to figure out roughly what food you can expect by just looking at the names of Italian restaurants. In some situation the actual meaning of these titles is also getting lost. 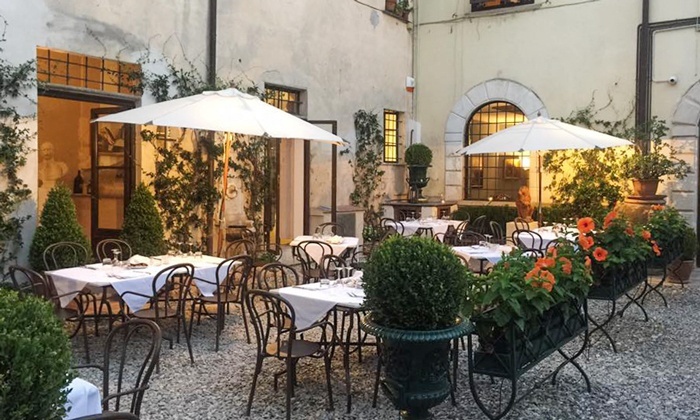 I have seen very expensive and upscale restaurants also called trattoria or osteria, for example Osteria del Mare in Forte Dei Marmi, the Italian Liguria beach area. During my summer trip to Tuscany I have also noticed another interesting fact. 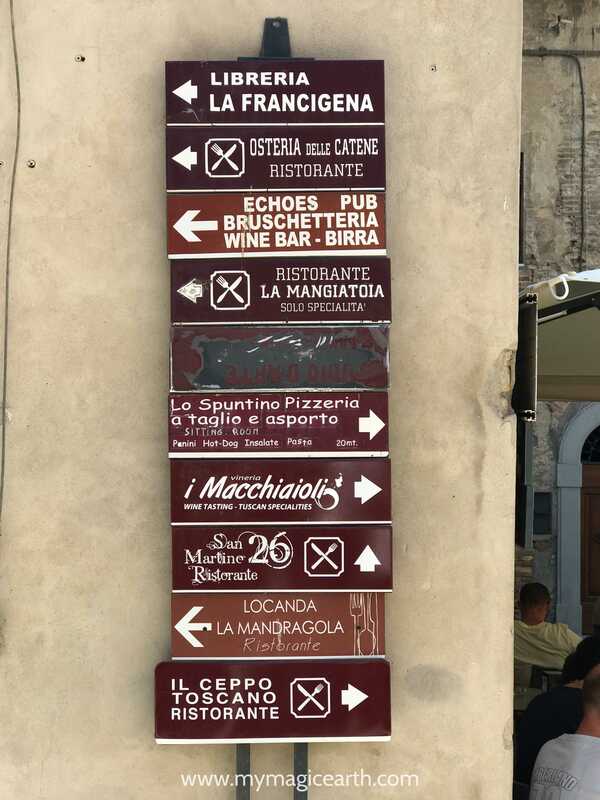 Some Italian restaurants use a combination of names, for example, San Martino Pesceria Osteria Pizzeria along Chianti Route, Tuscany. You can probably guess what they offer by now. 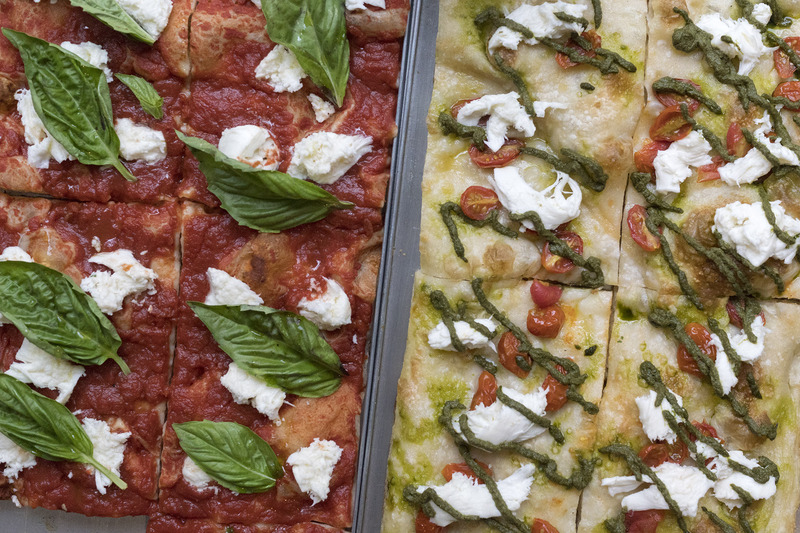 This list includes the most common Italian eateries you could see here and there. However, depending on where you travel, you maybe encounter others such as pizzerie, bruschetteria, bacari or piadinerie. Italy can be visited only for food! 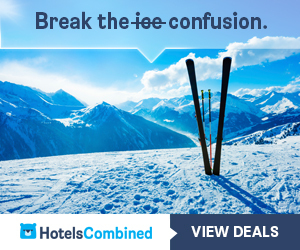 And you have shared some of the nice restaurants classified. A good post to read for foodies before they travel Italy. It was very interesting to know that there are many kinds of Italian restaurants. But I would love to try an authentic trattorias coz its family-run. So I assumed it will be more entertainment and humble to dine. 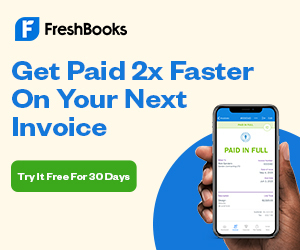 Those are some great tips! It can be very useful for tourists to know what to get from where. I love this post! I have been toying with a similar idea in my head, (for across countries) but haven’t been able to search out enough information yet. It was fascinating to learn about the different types of eateries in Italy. This is such an informative post. 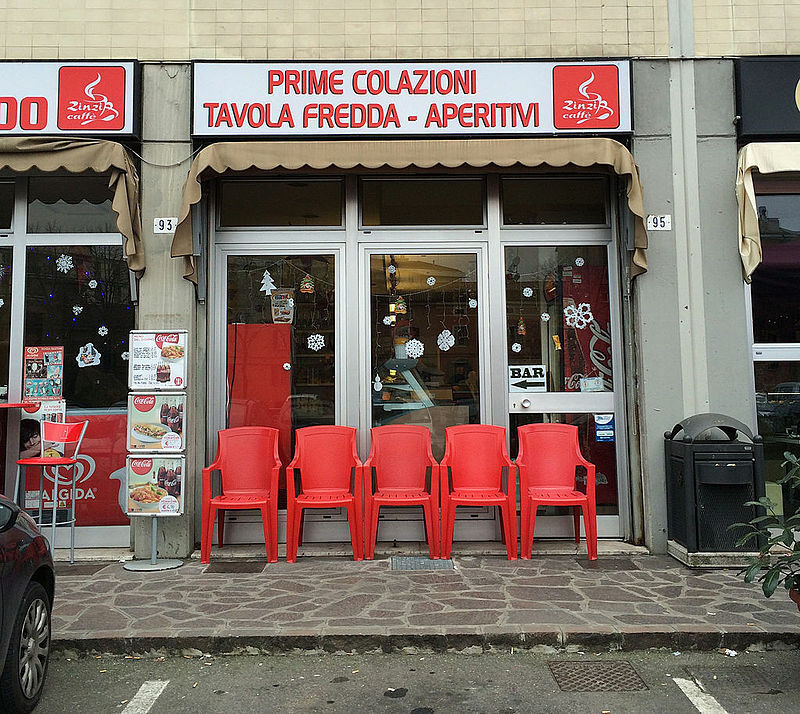 Thanks for sharing different kinds of restaurants in Italian. I learnt something new today! Thak you for writing such a detailed article on different type of eateries like Ristorante, Pesceria, Pasticceria,Pizza a taglio, Osteria, Rosticceria, etc, etc. I enjoyed reading it. Where was this article when I visited Italy a few years back? I remember being so confused with some of the options. I was most confused by the Osteria, Trattoria and Taverna. This article really helps clear things up!! Thank you. Great guide and perfect for my next Italian adventure. Why are the restaurants in Italy so perfect? Wish I was there now.. Helpful to know that a bar is a cafe. Good guide. Italian don’t do things like “going out for a drink”. They drink alcohol with meals. coffees are available as well. Perfect! We’re heading to Italy for a 2-week road trip in a few days. So this will be super helpful. Thanks for this! This is so helpful! I hope to go to Italy some day – to eat and drink. Nice to know what the different options are since it may be hard to describe the difference when you’re a tourist asking for help!